Forget Memory Foam and Make Real Memories with Your Truck Bed! There is a lot to be said for freedom. Especially the kind of freedom that comes from traveling light and getting gone on a whim. At Campers and Gear, we believe that one of the best ways to achieve this freedom is by making the most of Truck Bed Camping. Nowadays it seems like Pickup Trucks are the most common vehicle out there, especially among people who love the outdoors. If you are one of the many truck owners out there and are willing to forego a few creature comforts we promise you’ll be pleasantly surprised by the endless opportunities for Truck Bed Camping. 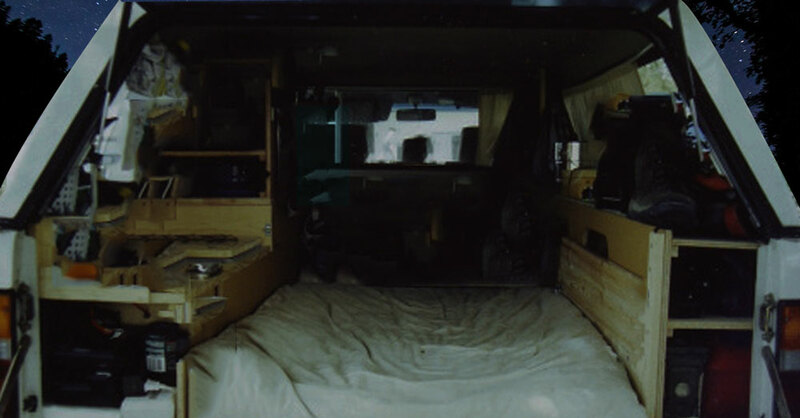 It is best if your truck has a cap on it to protect you from adverse weather, but for those of you who don’t just limit yourself to favorable conditions and you will get to sleep under the stars. So whether you prepare your Truck Bed for camping or are prepared to rough it in your Truck Bed, we promise that you’ll find Truck Bed camping to be an inexpensive and fun way to finding freedom in the outdoors.